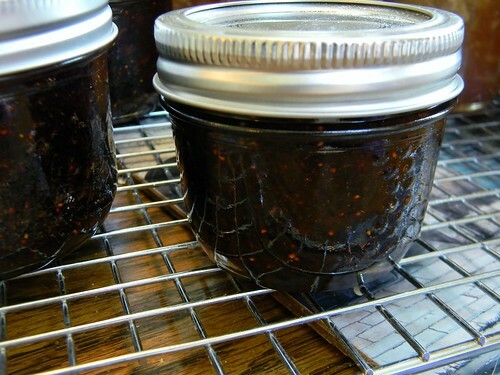 Chocolate - Covered Strawberry Jam (Toast Topper #57) | What Smells So Good? Place strawberries into a saucepan with the sugar and lemon juice and gently heat, while stirring, until the sugar has dissolved. Increase heat and bring to a low boil, stirring often, until the temperature reaches 220°F on a candy thermometer. Remove from the heat and cool 3 minutes. Stir the chopped chocolate and cacao nibs into the strawberry mixture. The chocolate should melt into the mixture. Follow the same procedure described above and enjoy!